Graham Gold has today released the playlist for his weekly Show 'Esta La Musica' on Scientific Sound Asia Radio, the show will be broadcast this Saturday, 30th March, 8 to 10 PM Indochina Time (ICT). Graham's weekly show was named after a tattoo he had on his right upper arm whilst doing a DJ set in Los Angeles, in the United States way back in 1999. Whilst Grahams’ global fame in the DJ world and music industry came about through his weekly shows on London's Kiss 100 and his club night 'Peach', this new show started after his split from Kiss 100 and relocated to South East Asia, using the name tattooed on his arm as a new techno show 'Esta La Musica’. 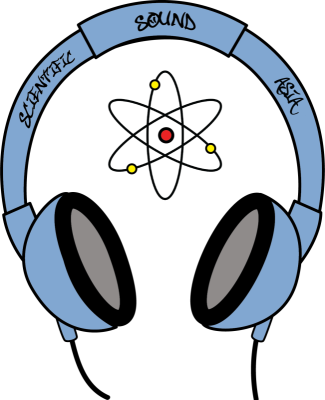 Graham was the first international DJ to perform on Scientific Sound Radio at the very beginnings of the Station in 2018. Graham gold is recognized internationally as one of the most ground breaking DJ's ever to feature on Londons Kiss 100 Radio. With a consecutive 8 years in the DJ Magazine Top 100, when it truly meant something, over 700,000 mix albums sold and performed in clubs and festivals in over 150 cities across 50 countries. Fast forward to 2019, and whilst those heady days of global fame are gone, he remains very much a dance music pioneer, and as such plays his deep house, progressive house, melodic techno and tech house at most of the parties on Koh Phangan, Thailand where he now lives. He is also one of the Headliners for the 5 Senses Festival, taking place in February 2019 alongside Behrouz, Thomas Schumacher, Einmusic and Supernova. His latest productions include two collaborations with Jourdan Bordes. ‘Spulig’ (German for trippy!) is due in April on the rather large Dynamica label while ‘Manipulation’ will drop on Holland’s Refuge label in May. A solo production, ‘Blue Camels’, has found a home on Berlin’s Patent Skillz owned by DJ Lion. Recent productions and remixes on Coldharbour, Moon Island, Souled, Bequem, Krafted, Endemic, Jungle Funk and P&S Music have helped cement his transition from a world famous trance DJ into a cool underground house DJ. Graham previously ran the Koolworld, Peach and Good As record labels where he took numerous tracks from the underground and turned them into commercial successes. One of his biggest signings was Mat Darey’s ‘Liberation”’ which made the UK Top 20. Good As also managed the UK & Ibiza diaries of Armin, Tiesto and Ferry Corsten from 1998-2001. He was a sought after TV presenter and hosted the clubbing TV show ‘BPM’ which aired on the UK’s number one commercial channel as well presenting a few shows from WMC for MTV. Graham has been a DJ his whole life and lived through disco, soul, jazz funk and was there at the beginning of the house music phenomenon. In 1985-1986 after years on London’s Pirate radio stations he presented the soul show on London’s Capital FM ahead of his move to Kiss 100FM. His real ‘craft learning years’ were at Gullivers in London’s Mayfair from 1980-1989 where he played 6 nights a week, 7 a hours a night to the capitals movers and shakers. It’s no wonder clubbers and the whole industry call him a legend!